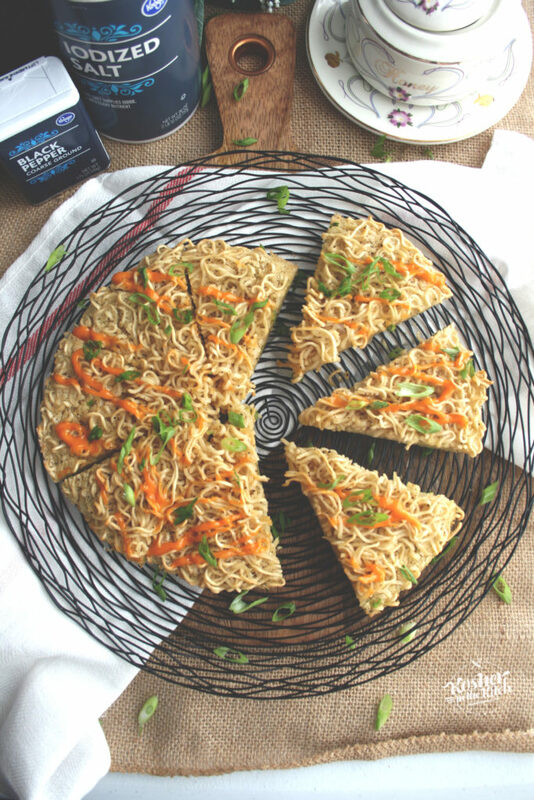 Ramen Noodle Kugel - Kosher In The Kitch! 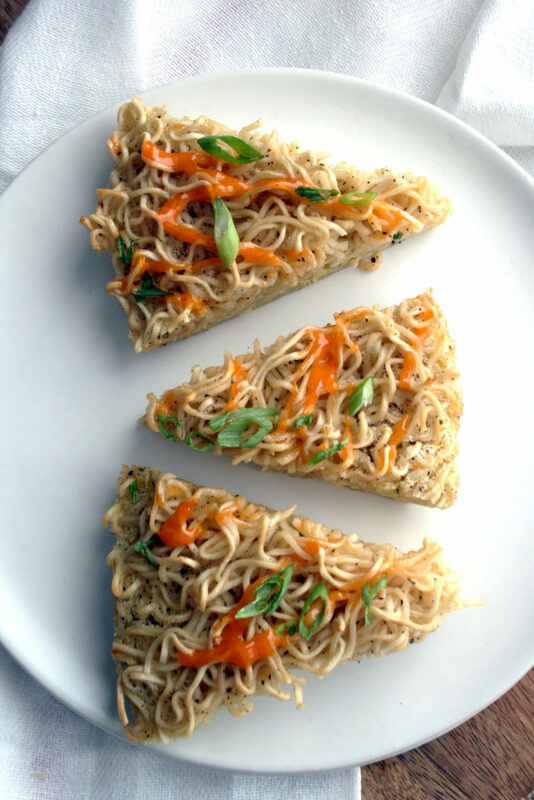 Ramen Noodle Kugel - Kosher In The Kitch! This Rosh Hashanah I teamed up with Ralphs to bring you an exciting NEW dish for your holiday menu! It’s not a Jewish holiday without kugel and everyone loves ramen, so I combined the two to create Ramen Noodle Kugel. 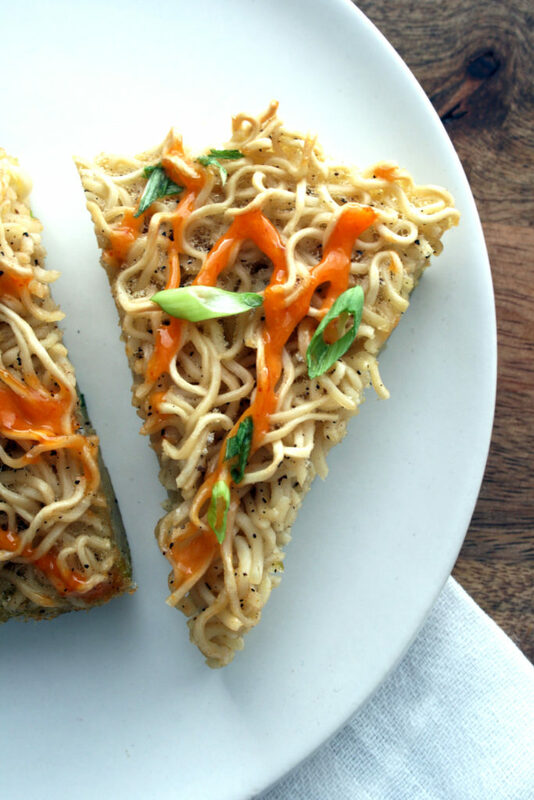 It’s got the familiar flavors of salt and pepper kugel with an unexpected twist using ramen noodles. This dish is super easy and seriously tasty making it the perfect addition to your holiday meal. 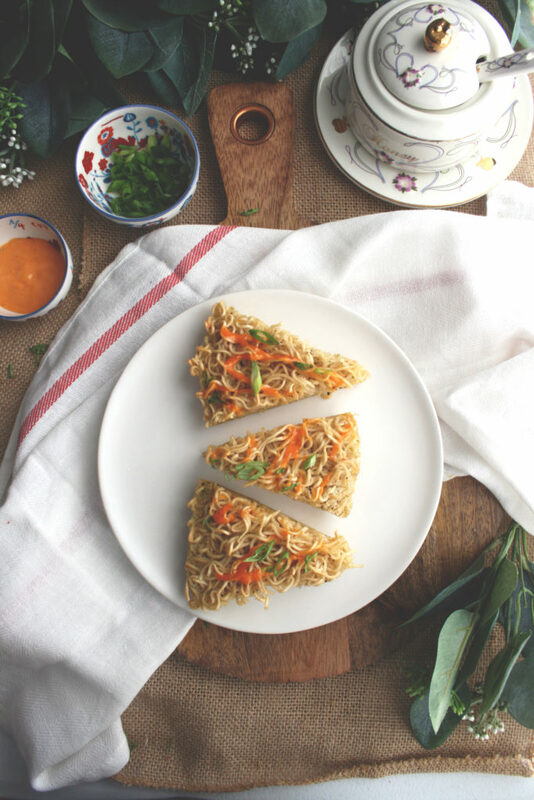 This recipe merges comfort food fav Ramen noodles with a holiday classic, noodle kugel to create a dish everyone will enjoy. Bring a pot of water to boil. Cook ramen noodles in water. Once cooked combine noodles with salt, pepper, eggs and sugar. Place in round baking dish and spray top with olive oil. Bake on 350′ for about 25 to 30 minutes or until edges are slightly crispy. Optional, serve with spicy mayo and chopped scallions. Hi leah! Buy the ramen noodles in the bag (2.8oz bag) not the container that you add water in. Discard seasoning packet and only use noodles. Bring a large pot of water to boil then add noodles and cook for about 3- 5 minutes using tongs to separate the noodles into pieces. Drain water then combine noodles with remaining ingredients. The photos shown in the post were baked in an 8 3/4 inch pie pan and I actually prefer it slightly thicker so a smaller pan would also work. They can also be baked in muffin pans for individual servings. 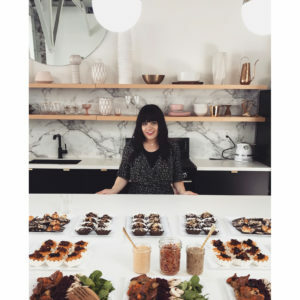 (I love serving things individual sized portions when entertaining to avoid having to cut anything and any additional work!) You can certainly add raisins or craisins but then I would remove the pepper and add a teaspoon of cinnamon and it will be more of a sweet kugel. Opt out of adding spicy may and scallions if opting for the sweeter taste.